You are a holy priesthood that offers spiritual sacrifices. Did you know that you share in the priesthood? During Mass we offer ourselves to the Father with Jesus, and this is where we learn to offer our whole life to God. This is done through our faith where we bind ourselves to Jesus, building on Him as a spiritual foundation. The Gospel reminds us that our spiritual foundation is Jesus himself: Jesus is the Way, the Life and the Truth. In this farewell discourse, Jesus lays out the significance of his life to his disciples before he dies. I did this, I loved you and you, this is who I am and this is who I want you to do, this is what I have prepared for you. We often hear a portion of this Sunday’s Gospel at funerals – that Jesus has prepared a place for us in his Father’s mansion! Today we hear more. Importantly we hear about the work of Jesus. Jesus reveals the living God through his own fidelity to his Father. This is his work – his working on his relationship with God, his being faithful to the will of God. When he does the work of the Father, he is revealing God within his own Person, who is himself God. To have seen Jesus is to have seen the Father. This is the work of faith entrusts to us. He says: “Whoever believes in me will perform the same works as I do.” In the same way through our faith, Christians reveal this same God. This work of faith is the foundation upon which we ourselves become Temples of the living God. Our world desperately needs to see God in us! And we need God to live in us, to do this work. 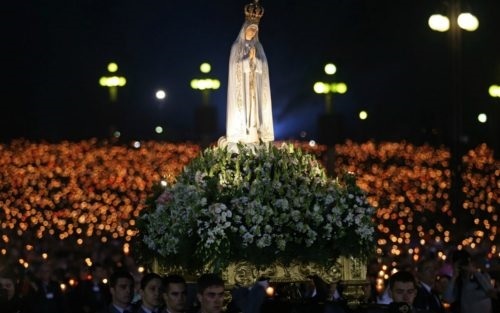 On this 100th anniversary of our Lady appearing in Fatima lets reflect on how much we need God today, from her perspective. 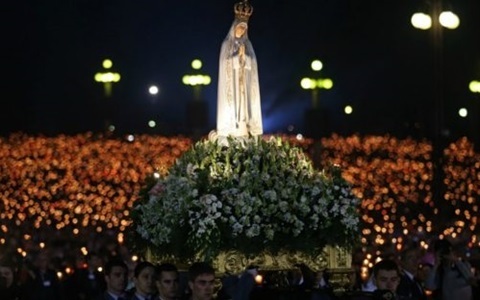 Fatima is the desperate plea of a mother for her children. We need God otherwise we will die in our sins. The 1st secret is the most important because it reveals our possible destiny without God. It reveals our absolute need of God. Therefore, Our Lady calls us to conversion; to penance, and to pursuing a life that is founded upon our need of God. Having realised our need of God, only then can we build up a spiritual house by working on our faith. Only then can we build upon Christ, sharing in the life of Him who reveals God in us, and God to the world.